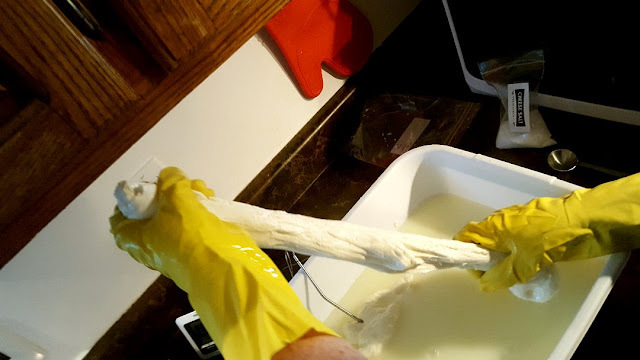 After SIX attempts and nearly 50 liters of milk...I FINALLY got my Mozzarella to stretch!!! I'm on such a cheese high right now I'm discombobulated so I can't write much more lol! Will update soon!!! Your never-say-die attitude has won the day. Yippee! You did it 👏🥂🧀😊 Are you dancing around the house? Way to go, Rain! Congratulations! Wow!!!!! That is so cool!!!! Congrats! 50 liters of milk??? Oh my. What can I say other than CONGRATULATIONS! I do believe you could do anything you set your mind to!!! In my opinion, these "little things" are what give real, true satisfaction and lead to a happy, content life . . . and person! you certainly are tenacious and it has paid off! way to go!!! Stretchy mozzarella? Mamma mia! Congrats! I love mozzarella cheese. When we lived in Italy, we bought it from little roadside stores. They were just a table with a roof over it, the roof was made out of reeds. You could get the cheese, a loaf of bread and wonderful tomatoes for almost nothing. The cheese was made out of water buffalo milk!